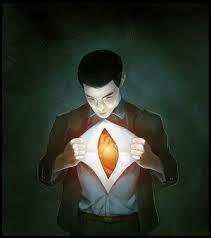 This inner struggle with self is between our carnal and our spiritual natures. Certain it is that what we by nature want is not what we really need. Likewise, that which we by nature aim to do, is not what we really need to do. In obtaining righteousness by faith, therefore, we choose to follow the opposite of our carnal minds and our natural desires and wants. “Let the wicked forsake his way, and the unrighteous man his thoughts: and let him return unto the Lord, and he will have mercy upon him; and to our God, for he will abundantly pardon. For my thoughts are not your thoughts, neither are your ways my ways, saith the Lord. For as the heavens are higher than the earth, so are my ways higher than your ways, and my thoughts than your thoughts….ye shall go out with joy, and be led forth with peace: the mountains and the hills shall break forth before you into singing, and all the trees of the field shall clap their hands.” Isa. 55:7 9, 12. In view of this glorious prospect, no one should neglect the opportunity to become a candidate for — Change of Heart. Why is the Lord to change our “stony hearts,” and to give us “hearts of flesh,” when we get to the promised land, and not now while we are among the nations (Ezek. 36:24 through 28) ? When Nebuchadnezzar’s natural heart was replaced with a beast’s heart, he was no longer satisfied to live like a human being, but was contented to live with the cattle of the field. Dan. 4:16, 33. But had he, while yet retaining the natural heart, been forced out of his palace, and compelled to feed with the cattle, the trial and humiliation would have been altogether too great for him to endure. Moreover, as such a life is contrary to human nature, he could not have subsisted on grass, nor could his digestive organs have stood up under such a heavy task. To make it possible, therefore, for a human being to go through such an unnatural experience, the Lord replaced his heart with a beast’s heart, which automatically changed his nature. Like Nebuchadnezzar during his wild-life experience, we, too, are living in a world that is unnatural to sinless beings. Consequently, if our hearts and thus our natures were changed now, while we are yet living among the sinful nations, we could no more endure the trial than could Nebuchadnezzar with his human heart have endured the winter exposure, or have enjoyed the company of the beasts, or yet relished grass and straw. Indeed, the fellowship of sinners, in the environment of sin, would be utterly desolating to a saint with a spiritual heart, upon which is written the law of God. So to make endurable our days in this life, the Lord mercifully leaves us with our natural, stony hearts, to serve Him according to the provisions of divine grace. And though it is not convenient to do right even under this provision, it would be still less convenient for a saint with “a new heart” to live in the kingdoms of this world, for in an unrighteous environment his righteous heart would make him miserable. Neither could he, in the Kingdom of God, with his natural, stony heart, endure its enmity against the law of God, nor enjoy the glory of the Kingdom. In other words, whereas on the one hand with our spiritual hearts, in the midst of the kingdoms of sin, we would be excruciatingly miserable in beholding crime, accidents, corruption, disease, and suffering; on the other hand with our sinful hearts, in the sinless Kingdom, we would be intolerably unhappy with ourselves, and unable to enjoy the sublime bliss of peace and righteousness. We are, therefore, for the time present, permitted to serve the Lord with our sinful nature; and our desires to do good, and aims to reach high, that are prompted by our faith in Him, are accounted to us for righteousness. This righteousness is His righteousness, in us by faith. We are, therefore, still in the period of conversion and sanctification by faith, looking forward to the time when the Lord will take us to our own land, and there give us new hearts (Ezek. 36:24-28). Then will we serve Him in holiness (Isa. 62:12). With such a glorious promise in view, wrapped in love divine, may everyone now exercise the faith of Christ, cultivate His righteousness, and so become eligible for the divine gift of a spiritual heart. .. “Conversion is a work that most do not appreciate. It is not a small matter to transform an earthly, sin-loving mind, and bring it to understand the unspeakable love of Christ. the charms of his grace, and the excellency of God, so that the soul shall be imbued with divine love, and captivated with the heavenly mysteries. When he understands these things, his former life appears disgusting and hateful. He hates sin, and, breaking his heart before God, he embraces Christ as the life and joy of the soul. This entry was posted on December 28, 2013 at 4:59 am and is filed under Christian walk, Sanctification. You can follow any responses to this entry through the RSS 2.0 feed. You can leave a response, or trackback from your own site.